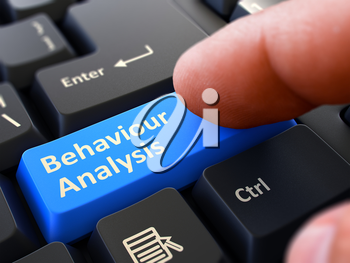 Behaviour Analysis - Written on Blue Keyboard Key. Male Hand Presses Button on Black PC Keyboard. Closeup View. Blurred Background.